The Kensington Oak Ladder Shelf Unit is 100% British made right here in the heart of England using high quality materials that are designed to stand the test of time. It is one of the most beautiful units in our Kensington range. 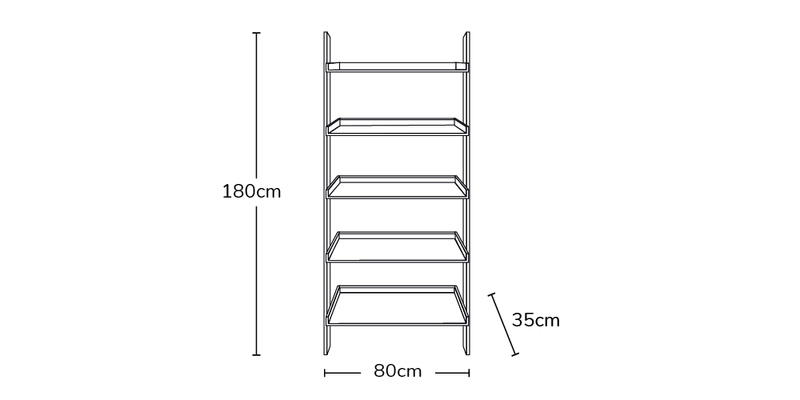 Carefully created by skilful craftsmen, this contemporary ladder/shelf unit will look great in any home space. This Unique Shelf was made to be a quirky yet practical solution to all your storage and shelving needs. With its clean lines, simple shape and five open shelves modelled on the traditional stepladder, this individual shelving unit has room for everything - from precious objects and family photos to books and DVD's. This signiture shelving unit arrives fully assembled. Easy and hassle free.